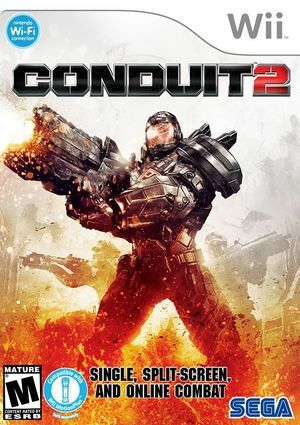 Conduit 2 is a first-person shooter video game developed by High Voltage Software for the Wii video game console. It is the sequel to The Conduit. The developers called the game Conduit 2 because they felt the original name of The Conduit 2 was "too much of a mouthful" so they dropped the "The". The game makes use of the Quantum3 engine, a game engine designed by High Voltage Software specifically for the Wii. The engine allows effects such as bump mapping, reflection and refraction, and gloss and detail mapping to be implemented. Despite high FPS the game runs at a fraction of normal speed. The VBeam Hack needs to be turned ON to stop sound crackling, but the game may still run slowly. Refer issue 7132. The game uses a reflection effect to simulate shiny surfaces that is rendered incorrectly in Dolphin. This happens in both Direct3D and OpenGL backends. It appears to be using the wrong texture for the cubemap. Refer issue 7134. The graph below charts the compatibility with Conduit 2 since Dolphin's 2.0 release, listing revisions only where a compatibility change occurred. This page was last edited on 14 January 2018, at 10:45.